Science has been defined as knowledge about or the study of the natural world based on facts learned through experiments and observations. 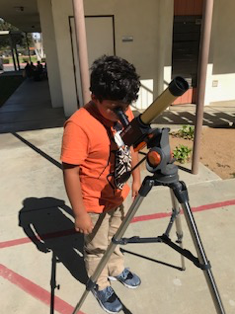 Some branches of science being studied at Balboa School are Astronomy, Biology, Chemistry, Physics, Environmental Science, Earth Science, and Life Science from middle school to high school. Science includes mathematics and technologies. Science is about a whole lot more that that, it’s a way of helping the brain grow in finding new knowledge and helps us satisfy our curiosity of how the world develops and works today. 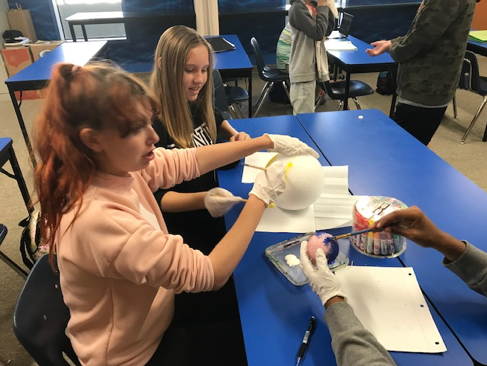 Our middle school students are currently learning about relationship of the Sun-Earth-Moon system culminating in Developing a Model of Eclipses while getting an eye-full of the Sun through a sun scope. Our Environmental Science class has learned how to do contour maps after making a model of uneven terrain. They are currently learning how the Biosphere works and getting a feel for ecology by building a desalination device and testing it to determine if a black or white base generates the most condensate.